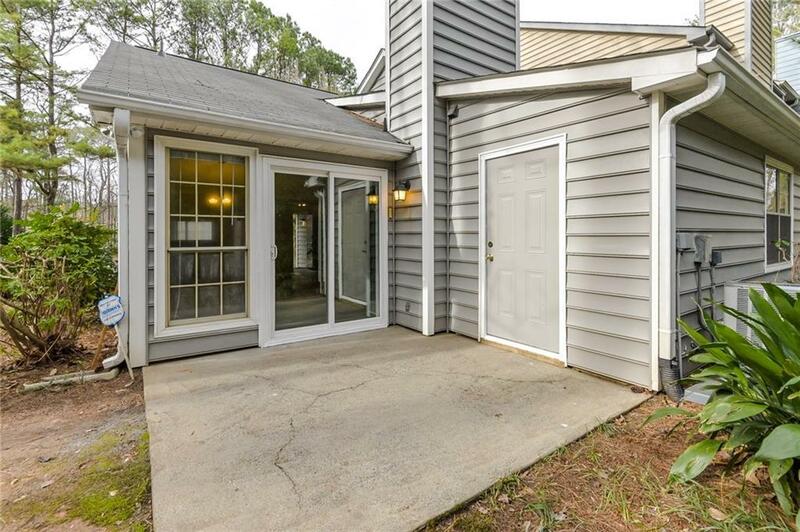 Move-In ready corner lot townhome with one level living and stepless entry! One of the largest lots in the neighborhood! 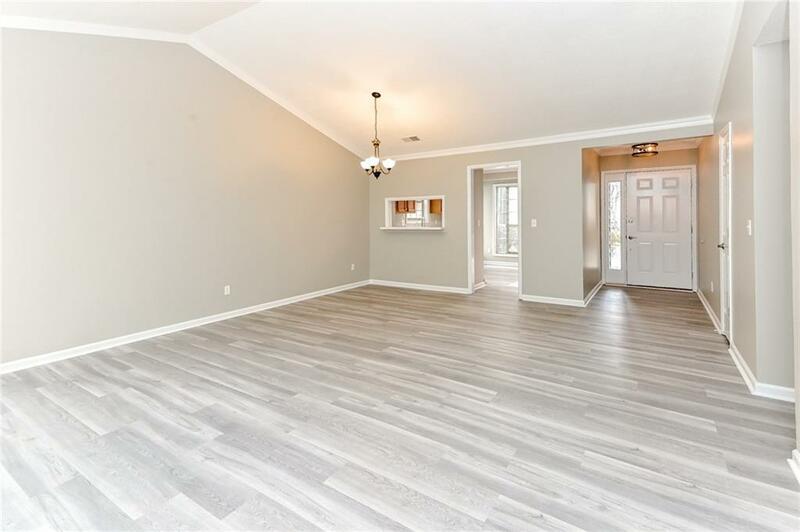 Brand new paint and flooring throughout to include tile and carpet, updated bathrooms and fixtures. 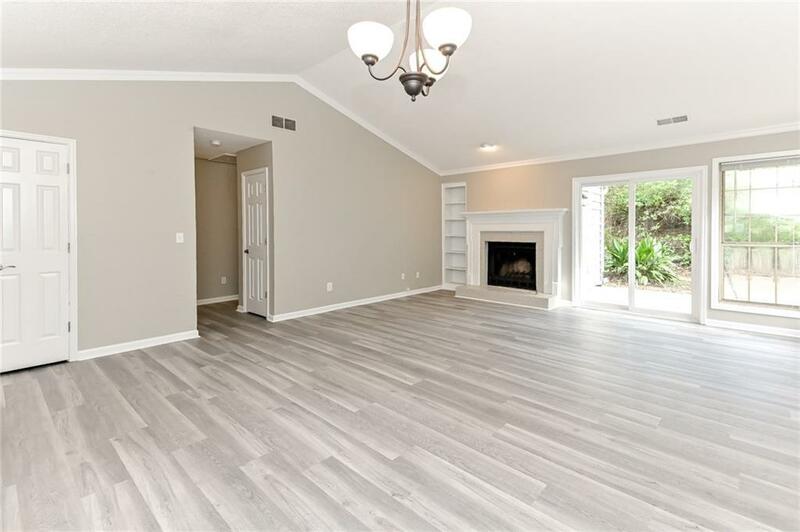 Spacious kitchen with recessed lighting and view to the family room. Master suite complete with high ceilings, fresh new carpet, and an updated tile shower/tub combo. Enjoy your morning coffee on your walk out patio and private backyard area. 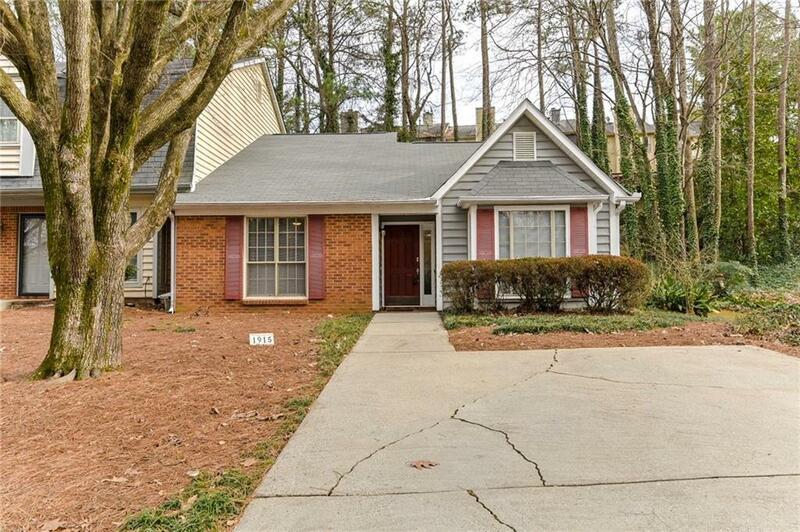 Convenient to I-75/285, Suntrust Park and the Battery.